Bling bling…Can We Get Alcohol Delivery To Our Door? It’s Friday night and you’ve settled in on the couch, yet that glass of vino or frosty cold brew is calling your name. The process of selecting a drink can be an overwhelming experience, often resulting in a fruitless wandering of the bottle shop aisle. We have heard your prayers, and are sending you the ideal solution – a comparison of some of Australia’s finest alcohol delivery companies. 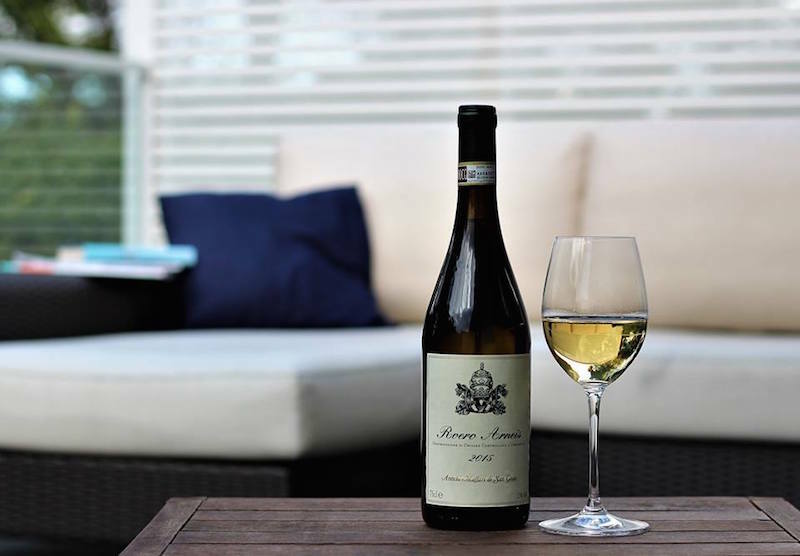 The Wine Gallery is a Sydney based delivery service that has been operating since April 2015. Their vision was to simplify the selection process for casual wine-drinkers, by curating a selection of affordable wines hand-picked by sommelier (and co-founder) Banjo Harris Plane. A novel feature of this wine delivery service is that you get to take a palate quiz to give the team an idea of your personal tastes. It’s from there that you’re then delegated a secret wine adviser, who hand picks your tipples. After that, sit back and wait for the vino to be delivered to your door monthly. The Wine Gallery deliver nation wide for a flat rate of $9 , with wines ranging in price from $20-$25/bottle. Qantas epiQure specialise in quality Australian wine and spirits, along with a superb range of more than 200 artisan food products from different winegrowing regions. Keen vino enthusiasts can sign up to a wine plan subscription, which has no lock in fees and gives you direct access to some great drops. Wines are available in cases of 6 or 12 and you can even earn Qantas points with each order. They deliver around Australia, with free delivery if you spend $300 or more. The other advantage is that you can earn Qantas Bonus Points with every case you buy – up to 10,000 per case – to put towards your next holiday (or case of wine!). Naked Wines Australia is a wine company with a difference. Launched back in 2012, the concept behind this particular delivery service is that they don’t simply sell wine, they help make the process happen by funding talented independent and startup Australian winemakers. This is a unique customer-funded business model, with wine enthusiasts investing $40 a month into Naked Wines in return for exclusive access to fine wines, at wholesale prices. You can select a premixed case or create your own combination of wines, with cases being offered in quantities of 6, 12 or 15. 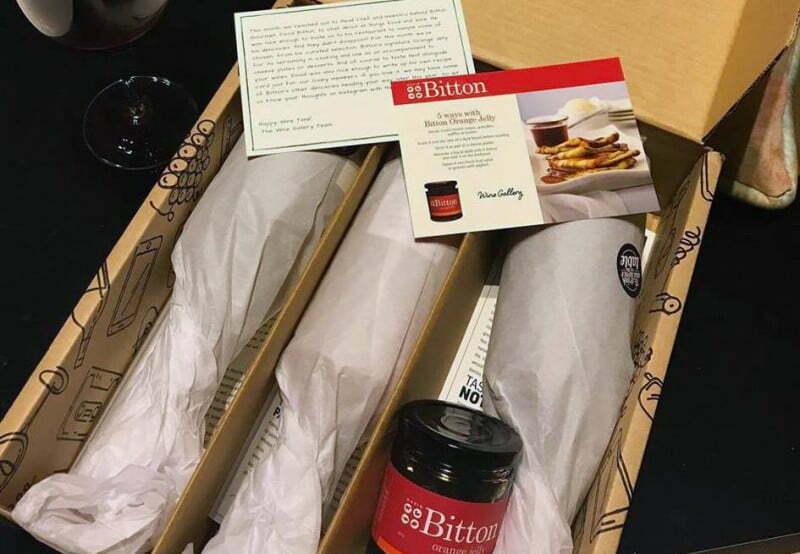 This company is passionate about sharing the wine experience, with the option to gift a bottle or case to someone else. Vinomofo is an alcohol delivery company for the social network generation. Launched in Adelaide in 2011, Founders Justin Dry and Andre Eikmeier applied clever strategies to market their concept on Facebook and Twitter. ‘The Digital Wine Guys’, encourage the promotion of their brand through word-of-mouth and their loyal customers which they refer to as their tribe of mofo’s (500,000 and counting). Vinomofo work directly with the finest wine producers in the world and follow a company ethos of ‘if they don’t love it, they don’t sell it’, which is why they offer exchanges, refunds or store credit if customers aren’t satisfied with the wine. We charge a flat $9 per case, but shipping is capped at $9 and free when you order 3+ cases. Vinomofo delivery to Melbourne, Adelaide and Sydney, with shipping taking between 2 and 4 working days. Winebubble is fairly new to the vino delivery scene, launching in April 2017. Founded by Red Norrie, Winebubble is a destination dedicated to the exploration of interesting international wines. Winebubble aims to get Aussies to be more adventurous about their wine choices, bringing the flavours of the world to Australia, minus the hefty price tag. How affordable are these drops, you ask? The majority of bottles on the site are priced at $30 or below in order to encourage exploration! Winebubble deliver nationwide, offering free standard delivery to most of Australia if you purchase over $120 of wine. Unlike other delivery services that can take a day or two (or longer!) to deliver your vino, Jimmy Brings is able to delivery your favourite tipple directly to your door in just 30 minutes. You’re not just restricted to wine either. Jimmy provides all basic liquors, beer, tobacco, bar snacks and even condoms. Jimmy Brings delivers Monday – Saturday 11:30am – 11:00pm and Sunday 11:30am – 10pm. Jimmy Brings delivers Sydney-wide, including the CBD, Eastern Suburbs, Inner West and Lower North Shore. Similar to Bring’s, Tipple transports your favourite tipple to your door within the hour. Jump online and you’ll find your classics as well as your ‘yet-to-samples’. Tipple offers wine, beer, ciders, spirits as well as some pleasing extras including Ben and Jerry’s ice cream for those looking for the ultimate indulgent night in. 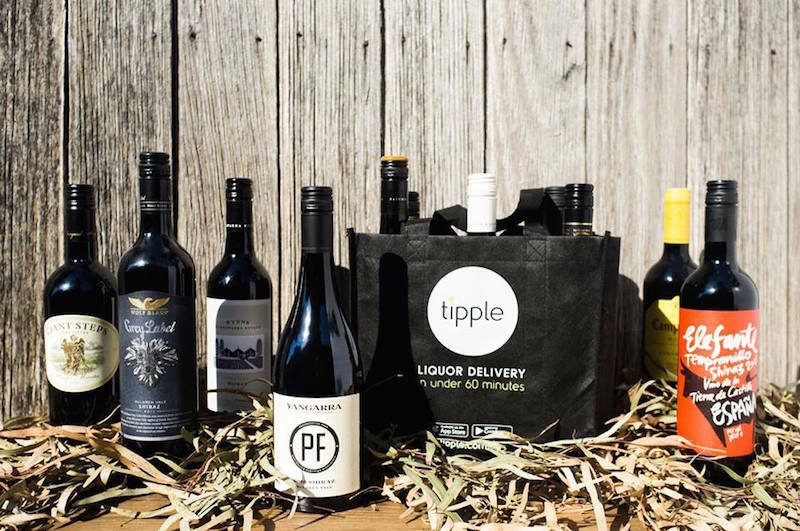 Tipple is charging a flat $7.00 delivery fee and deliver to both Sydney and Melbourne. Founded by Alex Gale, Andy Williamson and Mark Woollcott, Boozebud is as a tech company transforming the way Australians purchase alcohol. Using a smart tech and a disruptive business model, Booze Bud is described not as a retailer, as rather an online market place. Producers both big and small can list their products for sale, and at present, there are over 400+ brands and 2,500 products listed on the website. They deliver everything from craft beer, wine, spirits and mixers directly to your door. 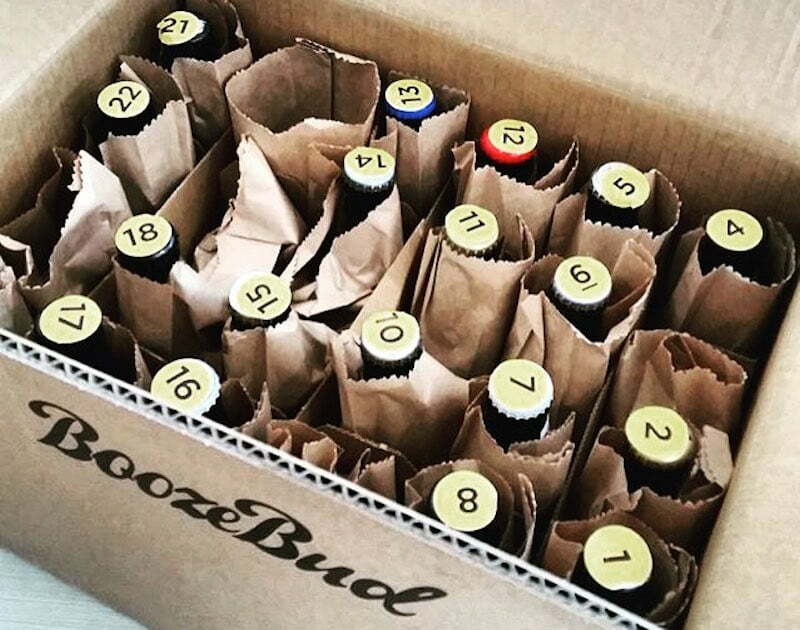 Booze Bud We deliver Australia wide and all items are generally shipped next business day. The Wine Collective is regarded on their website as the ‘original wine club’. Vino enthusiasts across the nation are given direct access to some of Australia’s finest drops at competitive prices. More than just a buyer and seller market, the The Wine Collective classify themselves as a community – individuals are able to share experiences and opinions about the vino they’ve been drinking. 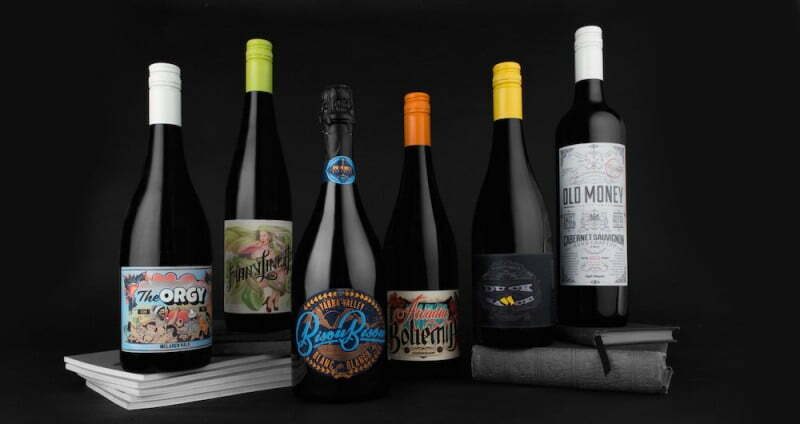 Australian wine specialists Vintage Cellars have implemented an alcohol delivery service to their long-standing chain of liquor stores. With a wide selection of higher-end wines (and spirits) available to customers, the allure of their delivery service is that customers of the stores can select wines they know and love to be delivered to their doorstep. 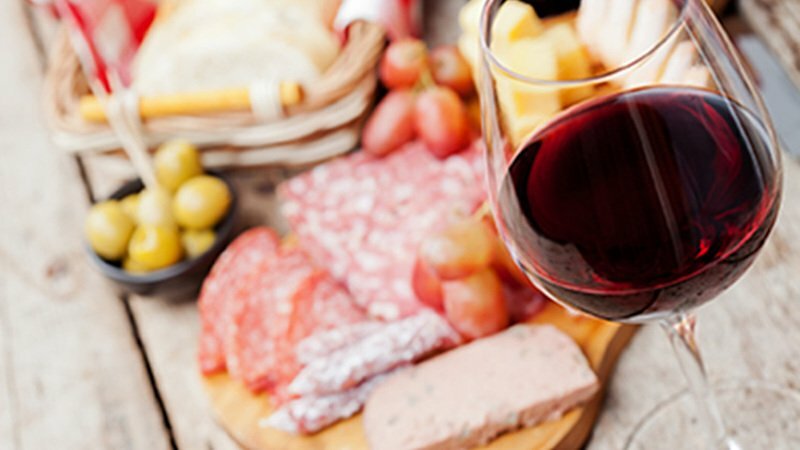 Vintage Cellars is for wine enthusiasts through and through, with a ‘Wine Club Membership’ being offered to customers which provides discounted prices, invitation-only event and special release offers. Vintage Cellars ships their delivery cartons in boxes of 12, with delivery costs ranging from $6.95 for metro areas, $11.95 for regional areas and $18.95 for country regions. While their delivery time ranges from 3-7 days, they offer free delivery if you spend $150 or more in wine and spirits. Have we missed any? Tell us your favourite alcohol delivery service.